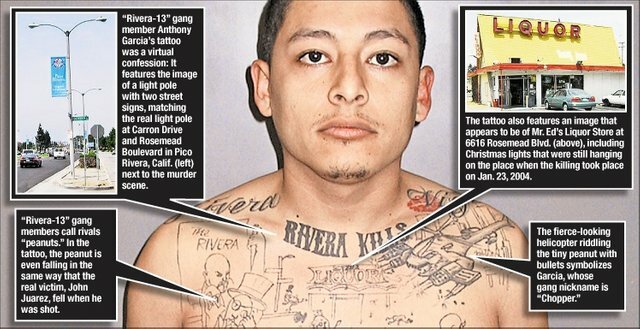 The man in the photo, Anthony Garcia, is a member of the "Rivera-13" gang. He was the perpetrator in a homicide that occurred years back. 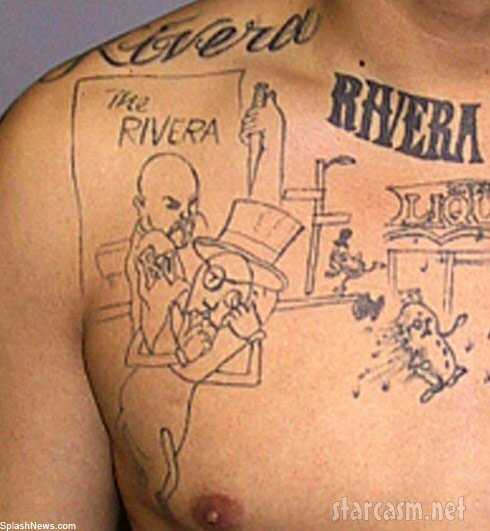 Anthony decided to make a tattoo of the crime scene, which led to him getting caught years later. Anthony was free for 4 years after the homicide, until one day he was arrested for driving with a suspended license. 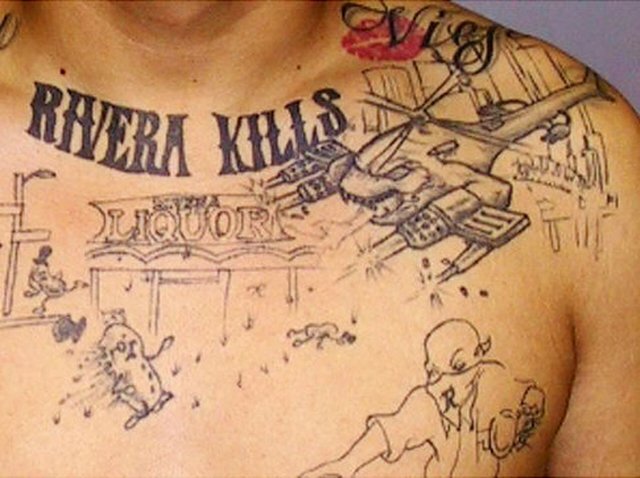 While taking his mugshots, the police decided to also take pictures of his tattoos as he's an active gang member.